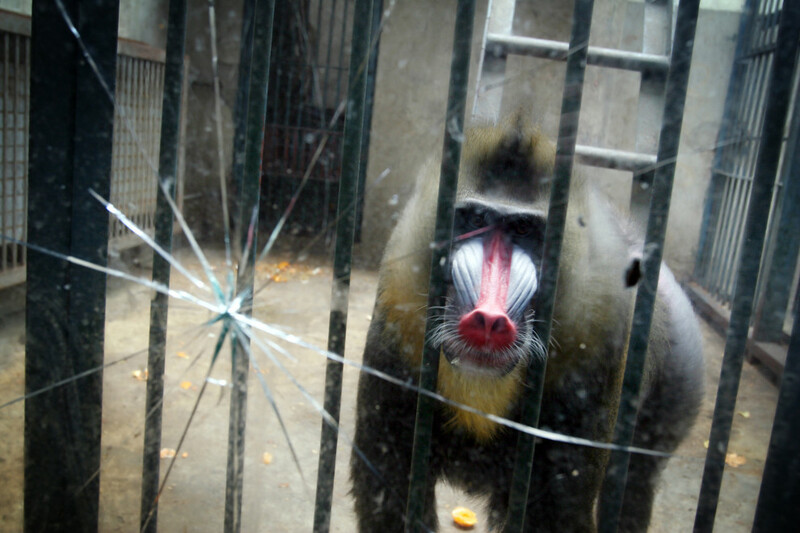 A baboon in an enclosure in Wuhan zoo. 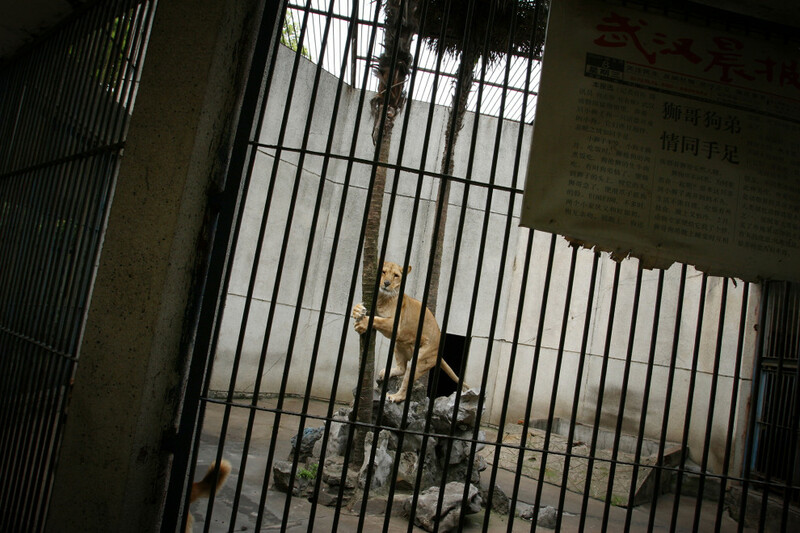 A lion in an enclosure in Wuhan zoo. 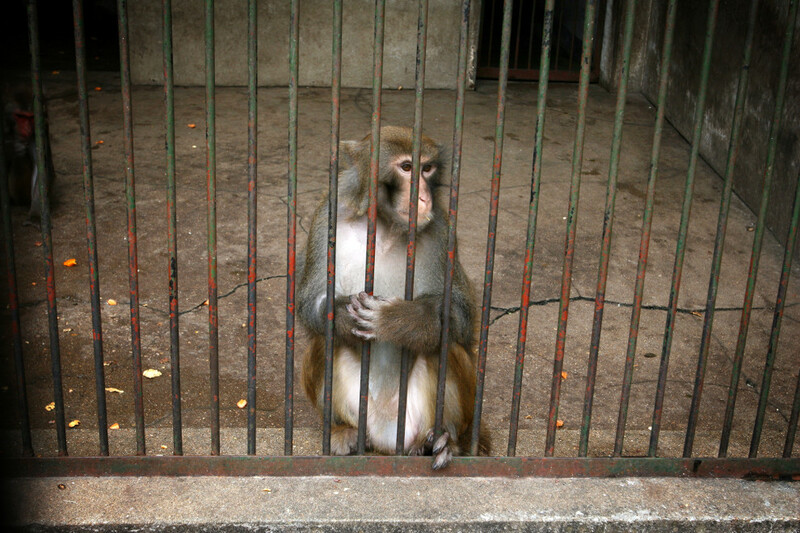 A monkey in an enclosure in Wuhan zoo. 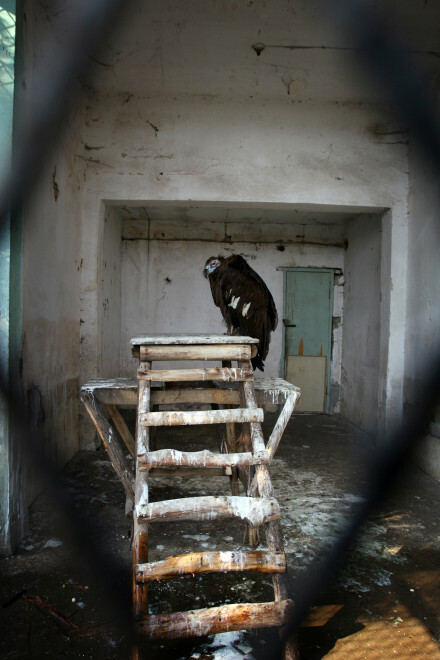 A vulture in an enclosure in Wuhan zoo. 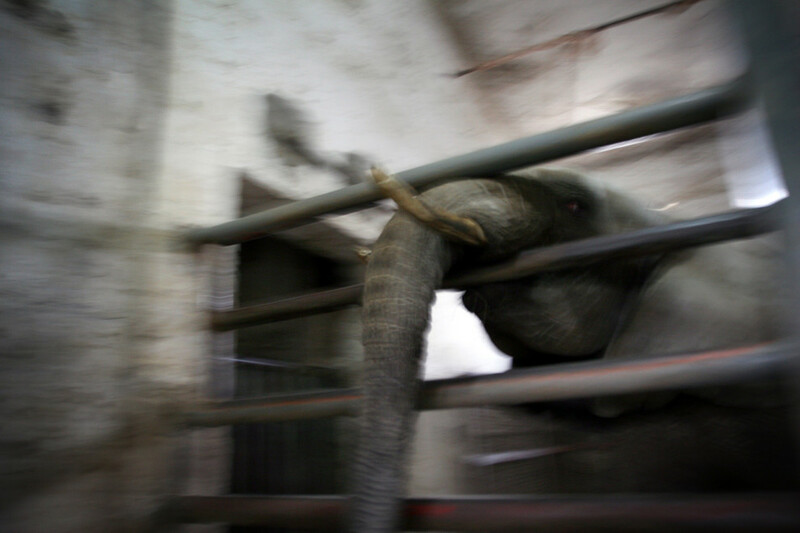 An elephant in an enclosure in Wuhan zoo. 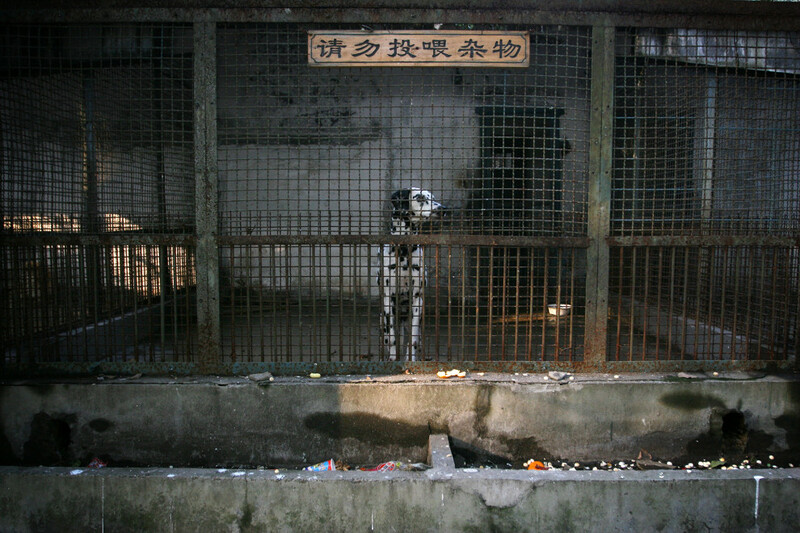 A dalmation, species of dog, in an enclosure in Wuhan zoo. 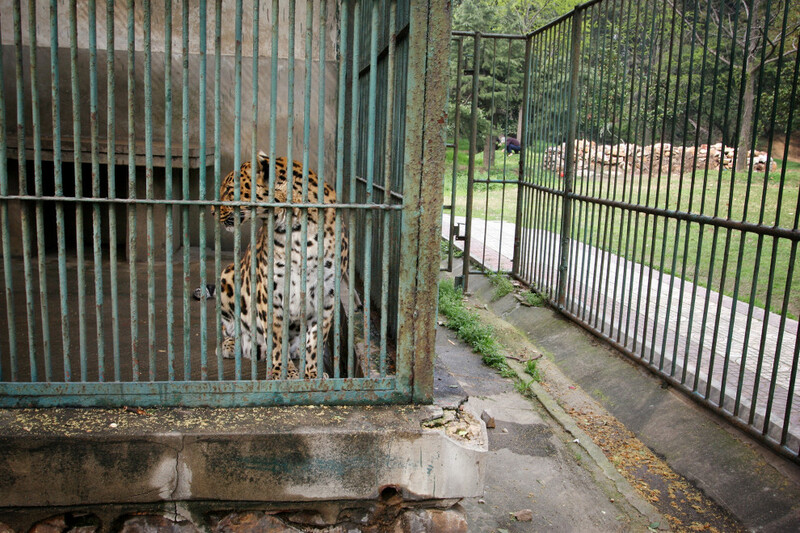 A leopard in an enclosure in Wuhan zoo. 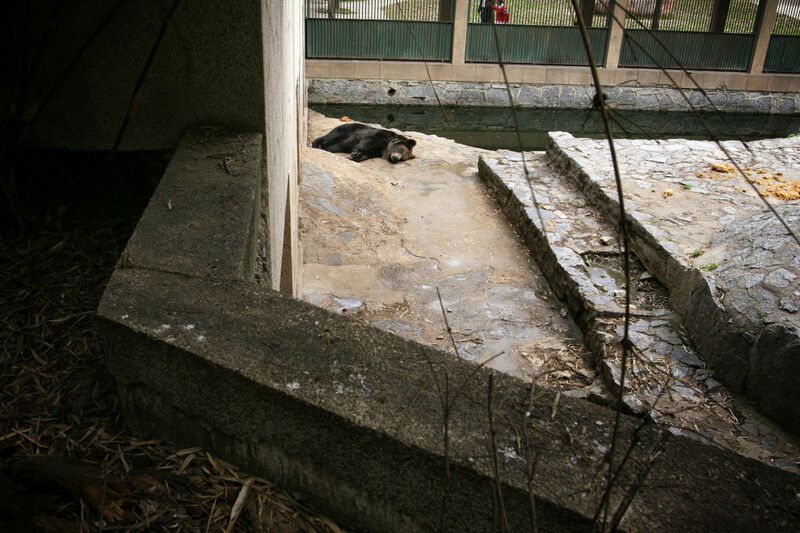 A bear in an enclosure in Wuhan zoo. 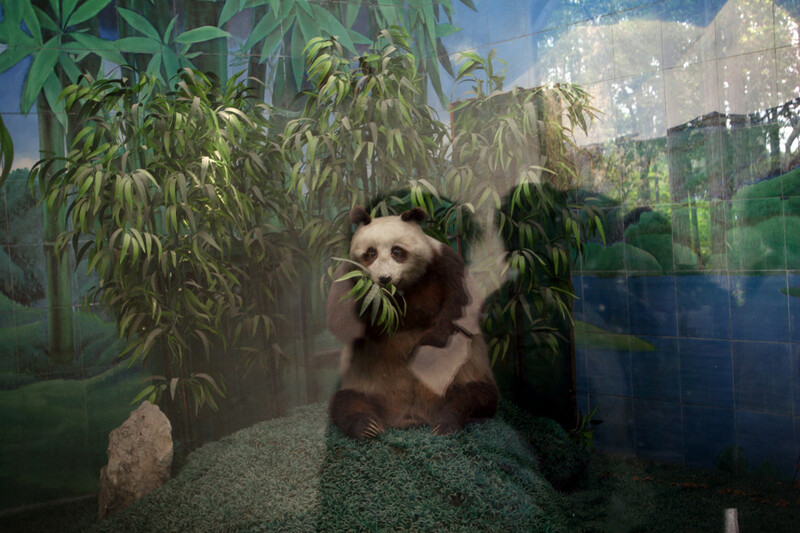 A model of a panda in an enclosure in Wuhan zoo. 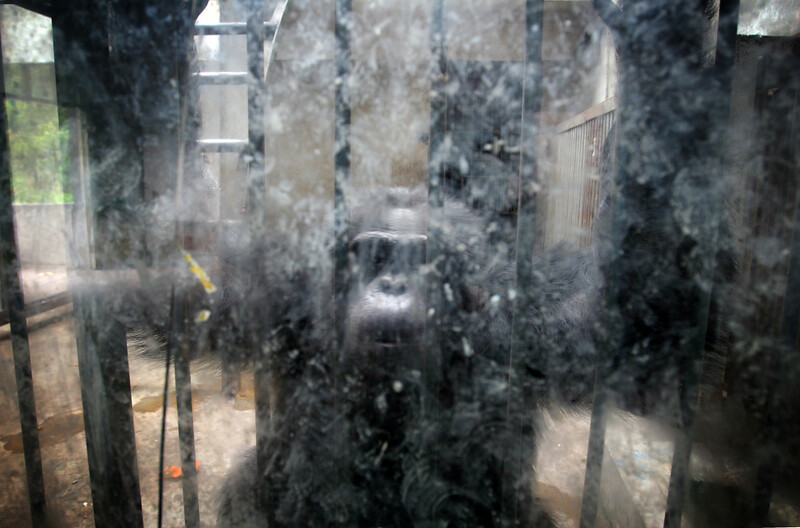 A chimpanzee in an enclosure in Wuhan zoo. 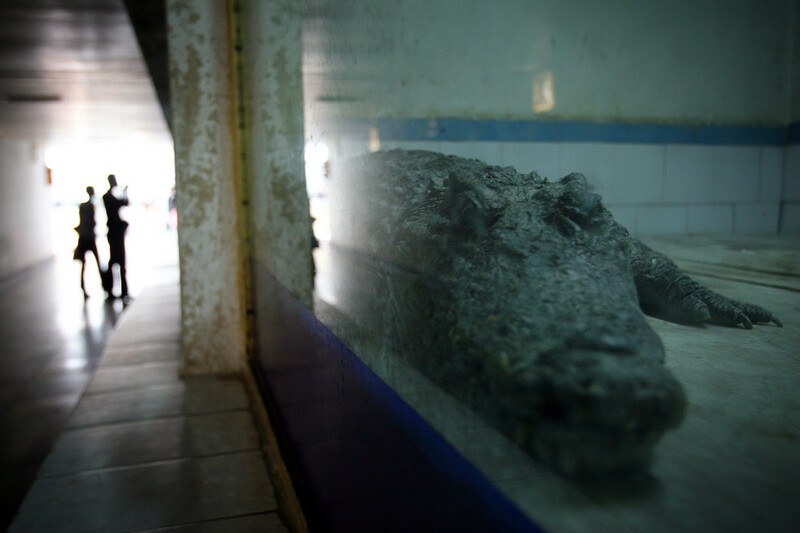 A crocodile in an enclosure in Wuhan zoo. A salamander in an enclosure in Wuhan zoo. 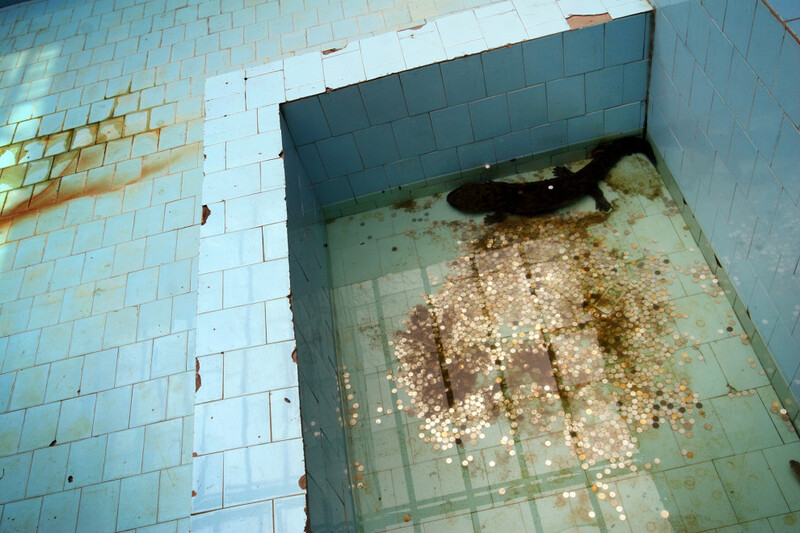 In many of China’s ‘second-tier’ cities, away from the modern zoos in the megacities of Beijing and Shanghai, hide a plethora of smaller unknown zoos. 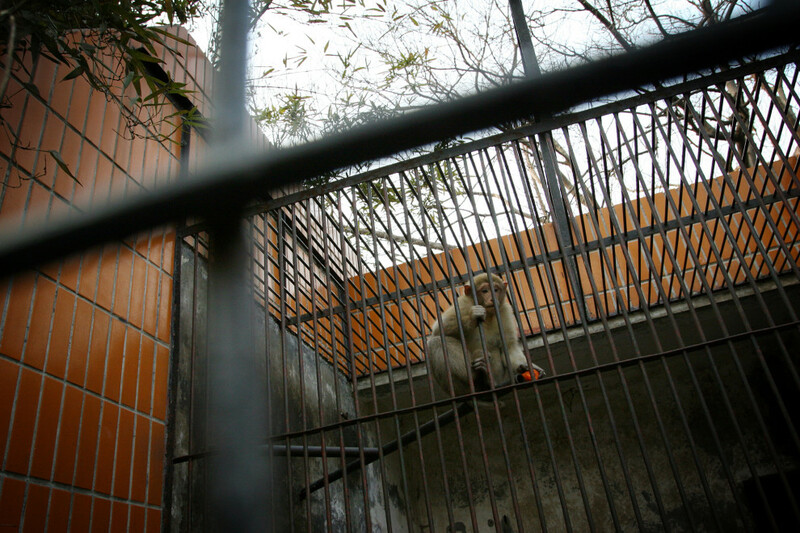 In these zoos, deprivation of light, space, sanitation and social contact with other animals is common and form a bleak existence for the animals. Living in poor conditions, these animals spend there days entertaining tourists who are often oblivious to the animals’ plight.